Springfield Housing Authority - HURST-ROSCHE, INC.
Hurst-Rosche Engineers has provided professional engineering services for Springfield Housing Authority since 2004. 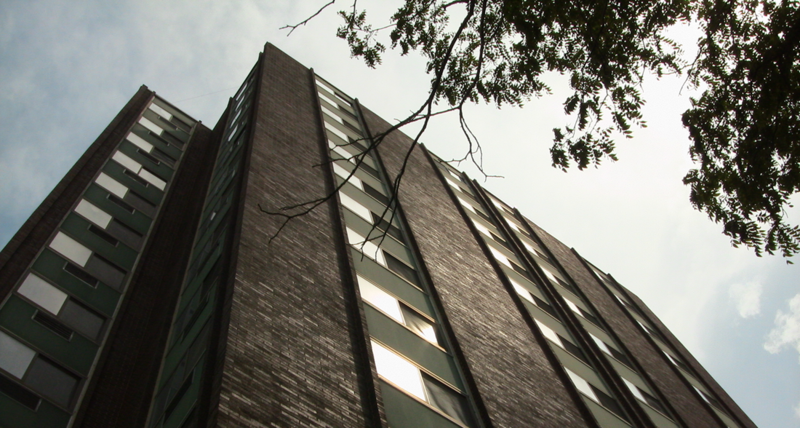 Sankey High Rise This multi-phased project includes a feasibility study based primarily upon earlier studies performed for the Springfield Housing Authority to determine the work required to renovate two existing 14-story building to meet applicable codes. The study also explores building new mid-rise buildings (4-5 stories), including developing preliminary floor plans, elevations, site plan, major cross sections, two full color rendering views, and an opinion of probable cost of each option. The project also includes all Construction Documents and Project Specifications for the bidding and construction of new multistory mid-rise buildings. All aspects of the bidding phase including responses to RFI’s, pre-bid meeting, addendum (if required), and bid opening, along with Abatement and Demolition are included in this project. High Rise Evaluations Evaluations of four high rise living centers were performed to determine the structural integrity of beams and related support columns. Along with these evaluations, recommendations were provided to repair structural issues relating to deep cracks on the exterior face brick and deteriorated mortar joints. Hurst-Rosche Engineers also worked with the Housing Authority in the completion of a total HVAC unit replacement in one of the high rises. This project included the removal of existing inefficient heating and cooling units and the replacement with new energy efficient units that greatly improved indoor air quality. Since the completion of this project, individual tenant comfort has been noticeably improved. Similar projects that will mirror this concept are currently in the preliminary design stages. The Villas at Vinegar Hill (formerly Sankey High Rise) This multi-phased project included study and design of the demolition of two existing 14-story buildings formerly known as the Sankey High Rise. The design included structural analysis along with remediation of existing hazardous materials. The existing buildings are currently under the demolition phase. 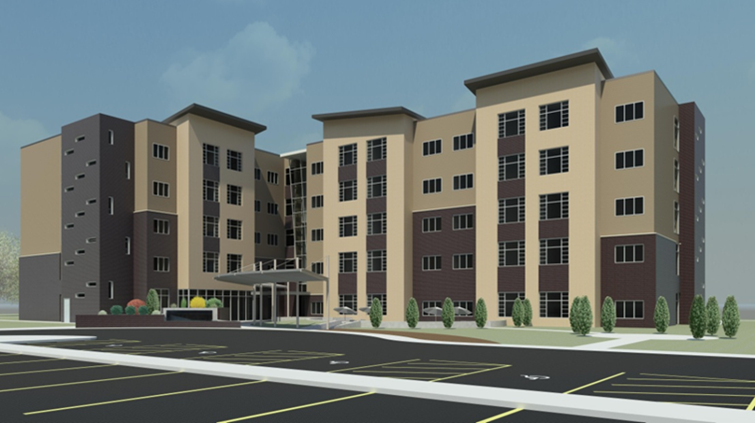 The next phase will include design of a new 5-story building comprised of 82 one-bedroom dwelling units and 10 two-bedroom dwelling units. 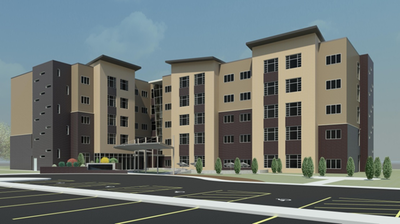 Each dwelling unit will have its own kitchen, living room, dining area, bedroom(s), bathroom, and large storage closets. There will be units that will be dedicated as accessible units; however, all of the dwelling units will be designed where ADA compliance can readily be achievable. Along with dwelling units, the building will also include two elevators, two management offices, cart storage, indoor mail room, vending machine area, beauty salon/barber, multipurpose room, laundry rooms at every floor, computer rooms, fitness center, and movie room. Site amenities include a sit down area, gazebo, drop-off area, ample parking spaces, and large walking spaces around the building. The mechanical components of the building will be designed with high efficiency units, electrical components, and plumbing fixtures.